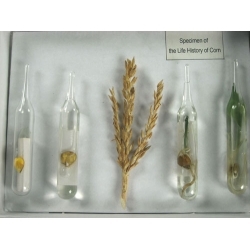 Specimens illustrating the life cycle of corn, also known as maize. A tall cereal plant with edible kernals. 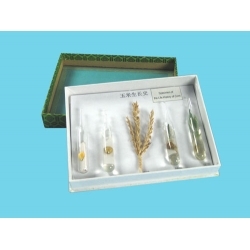 Among the basic foods of the world and also used in animal feed and in making edible oil, starch and whiskey. Zea mays. 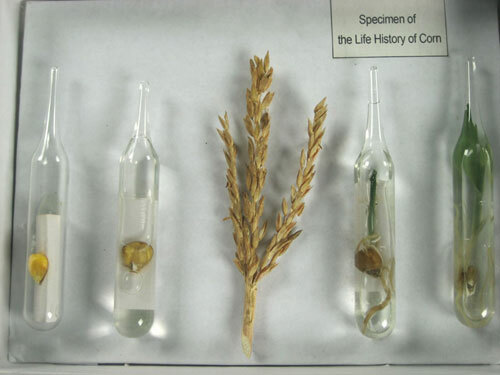 Specimens are contained in glass tubes and labeled.